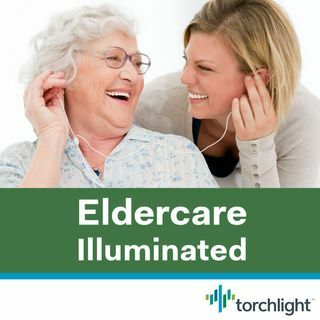 Join this episode of Eldercare Illuminated to hear how one working caregiver helped her father move from his home of 50+ years into a facility. Torchlight’s Eldercare Practice Leader spends time with a friend and colleague who is juggling parenting, career, and eldercare as a thoroughly modern caregiver. Alison Fox — working mother and working daughter — is the primary caregiver for her 92-year-old father. She generously shares what she’s learned in the course of helping her father move from ... See More the home he shared with his wife for decades. Next up for Alison: Helping Dad retire from driving. We’ll learn how the family plans to make this happen with respect and dignity, and we’ll check in with Alison in a few months to learn how things went.